The combination of voice and guitar is always a happy one - and somehow especially so when the repertoire is Spanish and Latin American! Cuban guitarist Ahmed Dickinson Cardenas and soprano Laura Mitchell join forces for an exploration of the soul. This CD presents Villa-Lobos conducting the Vienna Symphony Orchestra performing 5th Piano Concerto with pianist and dedicatee, Felicja Blumental. This disc also includes Villa-Lobos’ Bachianas Brasileiras No. 3 and other solo piano piano works. Brazilian soprano, Annette Celine performs a delightful collection of unusual and rarely recorded songs by two of the best known Brazilian composers - Waldemar Henrique de Costa Pereira and his mentor and advisor, Heitor Villa-Lobos. Includes work(s) by various composers. Soloist: Felicja Blumental. If you have never heard Moniuszko’s songs, rare Pergolesi arias or Villa-Lobos’ beautiful Bachianas No. 5, then this album is a must have. This beautiful collection of songs also features works by Niewiadomski, Scarlatti, Chopin, Strauss and Weill. * Annette Celine (soprano) and the Rome Radio Symphony Orchestra conducted by Alberto Zedda. The repertoire on this special limited edition 5 CD box set is a reminder of Felicja Blumental's abilities as a pianist and as a champion of the lesser known piano works from the late 18th/early 19th century and features the best selling Brana titles. This box set highlights rare works by Czerny, Ries and Beethoven. It also highlights Tavares’ Concerto in Brazilian Forms (the only available recording worldwide) performed by the London Symphony Orchestra conducted by Anatole Fistoulari, and a live recording of Villa-Lobos’ Concerto No. 5 with the Vienna Symphony Orchestra, conducted by the composer. This work was in fact dedicated to Ms Blumental who features as soloist on all five CDs presented here. Other orchestras that feature within this collection are Filharmonica Triestina conducted by Luigi Toffolo, Torino Symphony Orchestra conducted by Alberto Zedda, Brno Philharmonic conducted by Jiri Waldhens, Prague Symphony Orchestra conducted by Alberto Zedda, Vienna Chamber Orchestra conducted by Helmut Froschauer, Salzburg Chamber Orchestra conducted by Theodore Guschlbauer and the Wüttemberg Chamber Orchestra conducted by Jörg Faerber. 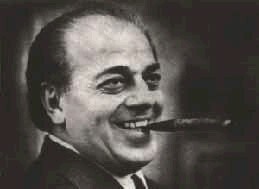 Heitor Villa-Lobos - Quatuor for harp, celeste, flute, alto saxophone and female voices.